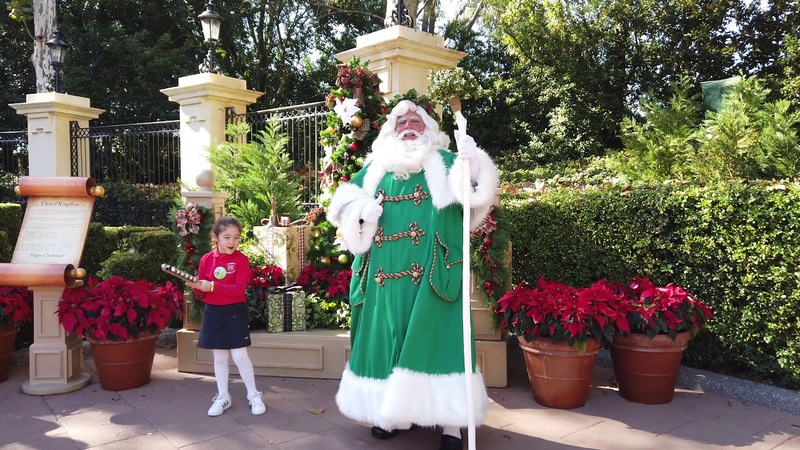 Nov 24, 2015 in "Epcot International Festival of the Holidays"
Here is the full line-up and schedule of the 2015 Holidays Around the World at Epcot entertainment. 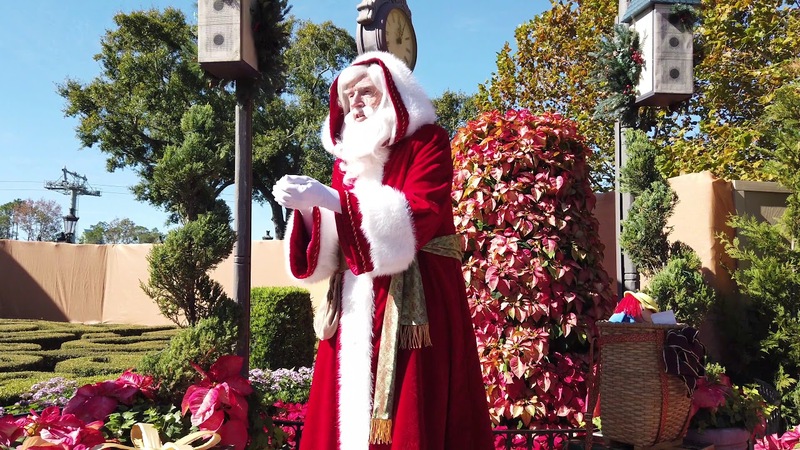 All entertainment is included with regular park admission, park hours are extended to 9:30pm November 27 to December 18 2015, then 10:30pm from December 19 to December 30 2015. 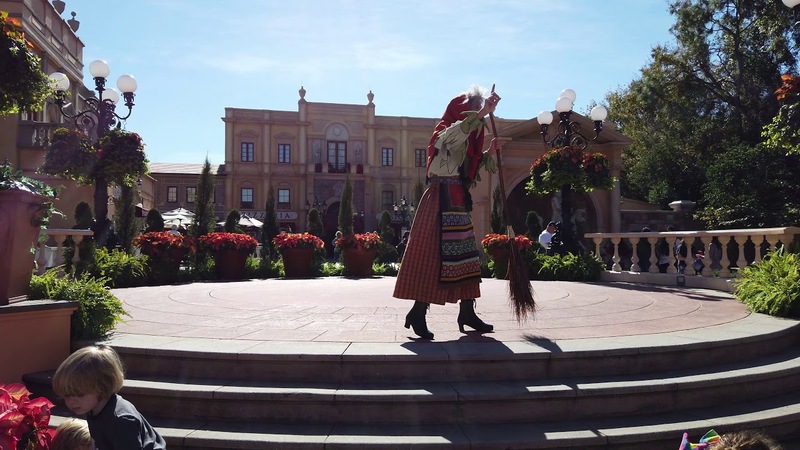 Performances take place daily from November 27 to December 30 2015 - check daily in the park for any changes to the schedule. With Peace on Earth Finale 9:30pm, from November 27 to December 18 2015, then 10:30pm from December 19 to December 30 2015. On Future World's Fountain Stage, a five person a cappella group performs some of the holiday's most beloved songs. 12pm, 1pm, 2pm, 3pm, 4pm. Performances take place daily from November 27 to December 29 2015. Explore holiday customs from the various regions of Canada on a musical tour of the Great White North. 12:25pm, 1:20pm, 2:15pm, 3:10pm, 4:25pm, 6pm. Join Father Christmas, as he rings in the season, with traditions of the United Kingdom and good cheer. 1:05pm, 2:00pm, 2:55pm, 4:30pm, 5:40pm, 6:30pm, 7:30pm, 8:30pm. Discover the magic of Père Noël and the joy of the season through a Christmas letter from a child. 11:20am, 11:55am, 12:30pm, 1:20pm, 2:10pm, 3:40pm, 4:25pm 5:40pm. Take a journey through seasons of holidays in Morocco, where celebrations are “the spice of life!” 12:45pm, 2:05pm, 2:50pm, 4:25pm, 5:35pm, 6:10pm, 7:25pm. Hear the fascinating story of the Daruma doll and the Japanese customs of the New Year! 12:55pm, 1:45pm, 2:25pm, 4:00pm, 4:45pm, 6:30pm, 7:45pm. Meet the kind-hearted witch who arrives on the Eve of the Epiphany to grant gifts to good children. 1:40pm, 2:35pm, 3:30pm, 4:25pm, 6:00pm, 6:40pm, 7:15pm, 8pm. Listen as Helga tells the story of the first Christmas tree and the tale of her first Nutcracker. 1pm, 2pm, 2:55pm, 3:55pm, 5:30pm, 6:05pm, 6:40pm, 7:15pm. The colorful Chinese Lion Dance brings good fortune and happiness to all during the Lunar New Year and Lantern Festival. 12:30pm, 1:30pm, 2:30pm. 4pm, 5pm. Enjoy the season of joy and fun with Sigrid and Julenissen, the mischievous Christmas gnome. 2:15pm, 3pm, 3:40pm, 4:30pm, 5:45pm, 6:30pm, 7:05pm, 7:45pm. Celebrate a Feliz Navidad and join in the color and excitement of the music, dances and traditions of a Holiday Fiesta! 11:30am, 12:30pm, 1:30pm, 2:30pm, 4pm, 5pm. Discover the traditions of Hanukkah, the story of the brave Maccabees and the miracle of the burning oil lamp. 11:30am, 12:15pm, 1pm, 1:45pm, 2:30pm, 3:15pm, 4pm, 4:45pm. Experience the spirit of Kwanzaa, a celebration of unity, creativity and pride. 11:15am, 12pm, 12:45pm, 1:30pm, 2:15pm, 3pm, 3:45pm, 4:30pm.